The Red Hot Chili and The Roots are two of my favorite bands of all-time. I love their energy, style, and musicianship. 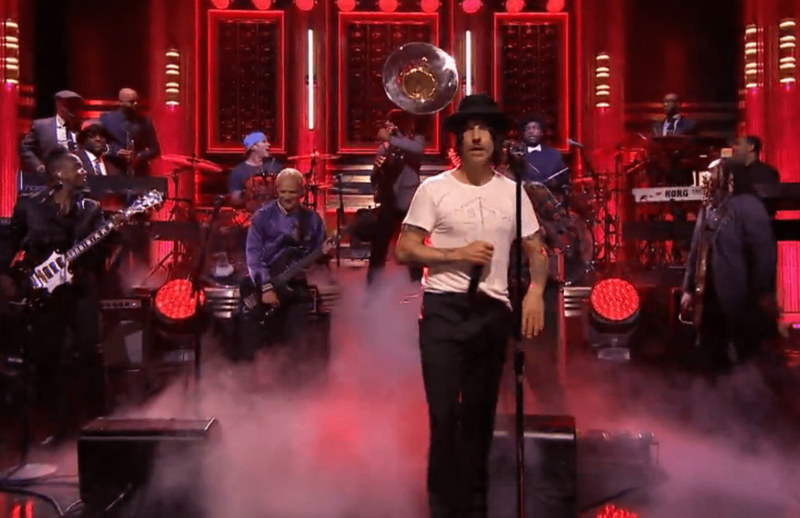 The groups combined forces to perform “Standing on the Verge of Getting It On” on The Tonight Show. In less than five minutes, they managed to combine elements of rock, hip-hop, and funk to deliver a rousing version of the classic Parliament song. P.S. – If the Red Hot Chili Peppers or Roots are reading this, I beg you to go on tour together or at least record a song.